London, 24th September 2018 – Fast-fashion giant Boohoo has partnered with Click & Collect solution provider HubBox, which will enable Boohoo customers to collect their orders from an additional 4,200 locations across the UK. The Manchester-based brand has harnessed the fast-fashion model to propel their meteoric growth and today they’re one of the UK’s biggest success stories, with Boohoo’s products available in over 100 markets. Key to Boohoo’s success has been their ability to identify and rapidly respond to the expectations of their target audience. Absolute control over design, production and distribution means that Boohoo is able to turn key trends spotted on the runway or on social media into products in their customer’s hands in less than two weeks. Accordingly, Boohoo has always prioritised providing speedy and convenient delivery options for their customers. Adding HubBox as a Click & Collect option will give customers increased control and choice over how and when they receive their orders, service aspects which are particularly important to Boohoo’s target 16-24 year old customers. 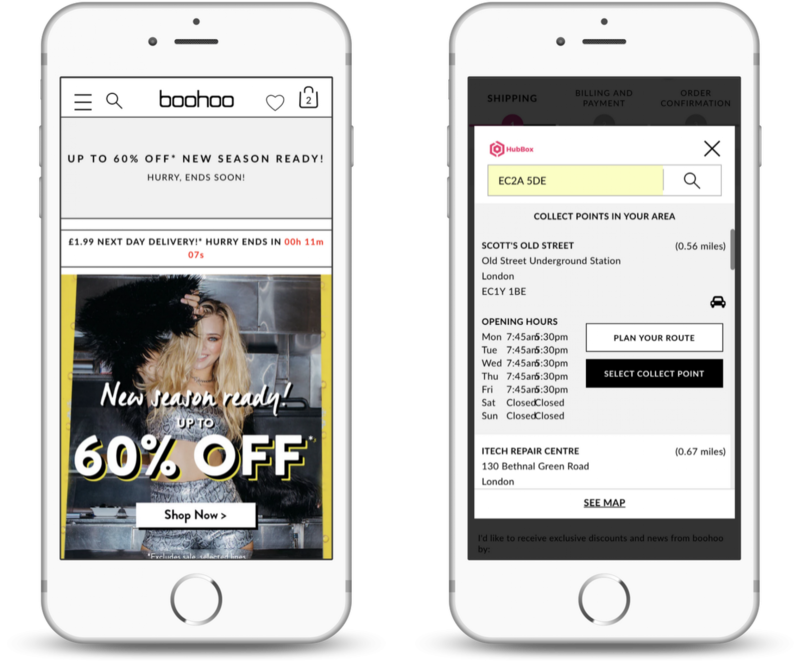 The new Click & Collect service is also included within Boohoo’s PREMIER delivery subscription, which gives customers unlimited next-day or standard delivery for £7.99 a year. HubBox will complement existing Click & Collect options through third-party carriers. Click & Collection solutions have often been employed by pureplay retailers to enable the speedy processing of Click & Collect orders and returns, without having to invest in and maintain expensive real estate. Sam Jarvis, founder and CEO of HubBox said: “Boohoo truly embody what it means to be forward-thinking. They’re not just ahead of the curve when it comes to understanding and delivering on changing consumer expectations, but have arguably played a key part in shaping what those purchasing behaviours and habits look like.” He added: “We’re incredibly excited to be playing a role in helping them achieve their ambitious goals when it comes to fulfilling delivery excellence”. In a competitive market where retailers often struggle to balance customers’ heightened delivery expectations with profitability, Click & Collect is a key tool for retailers who need to ensure that their fulfilment operations are as efficient as possible. In the UK, 1 in 10 home delivery orders are missed first-time: using Click & Collect drastically reduces the number of failed home deliveries.